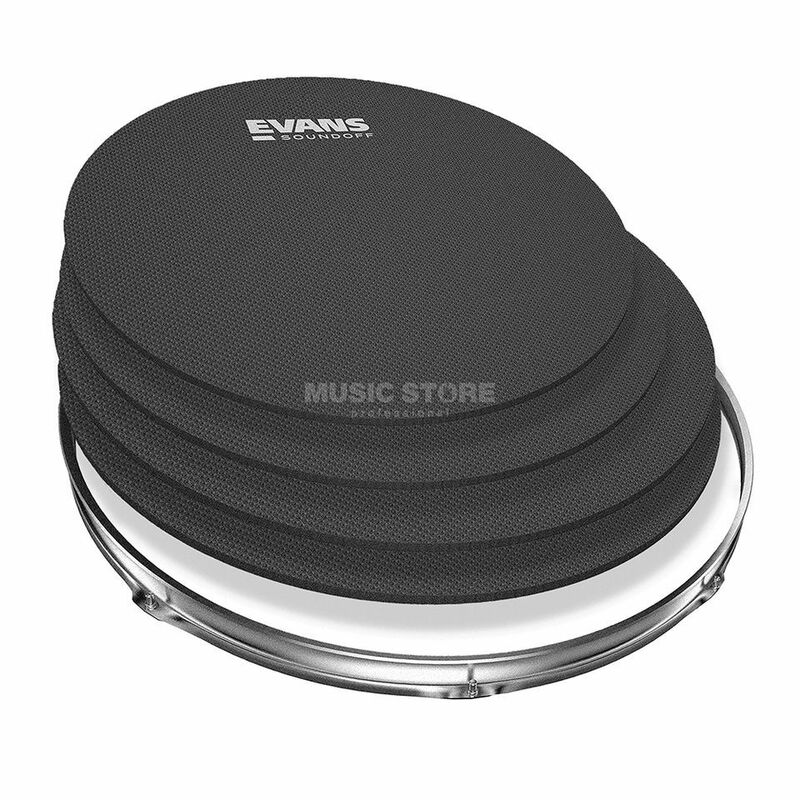 Sound Off Standard Pack, 12", 13", 14", 16"
The Evans Sound Off Fusion Drum Pads is a high-quality fusion drum pack comprising 10” 12” and 2 x 14” tom pads, a 14” snare pad.Sound Off fusion drums are the most popular line of volume control products available. The mutes provide a significant volume reduction to keep practice noise to a minimum. Sound Off drums feature a durable construction that can withstand frequent playing making this pack ideal for effective drum muting in both studio and on stage.